The O’Connor brothers, Tom and Andy, came to Ballinrobe in 1954. The nucleus of to-days (1972) thriving bakery came into being in a little house in Abbey St. When the first hazardous steps were taken and work in the bakery was going moderately well, Andy prophesised in expansive terms: “we’ll cover the garden yet”. Judge from what follows how great an understatement this proved to be. The original site of the small Bakery was 250 sq. ft. To-day (1972) the whole area occupied by the Bakery is 27,000 sq. ft. 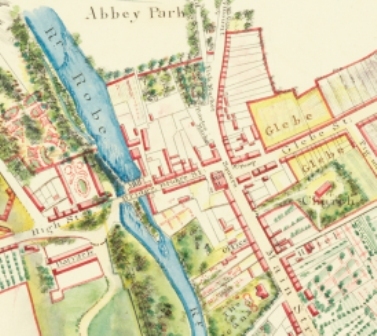 There are sixty-eight people employed on the Abbey St. premises and a total of ninety-five between all their bakeries. Then there were two vans on the road. Now thirty-two vans form an imposing fleet in the spacious Bakery yard in the evening, when the work of the day is done. One lorry plies daily between the Home Bakery and Drumshambo. 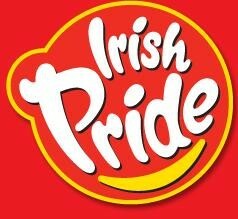 Western Pride bought the Bakery at Drumshambo in 1969. During recent years (1972) a large shop in Dominick St., a shop in the new Shopping Centre in Galway, and six Bakeries are included among the acquisitions of Western Price. The story of the early struggle of the O’Connor Brothers typifies the glory that emanates from “sheer plod” and which “gushes gold vermilion”. If some improvement were coming about in the early days, they were too involved to be aware of it. It was a daily struggle – problems abounded and rose up all around them. 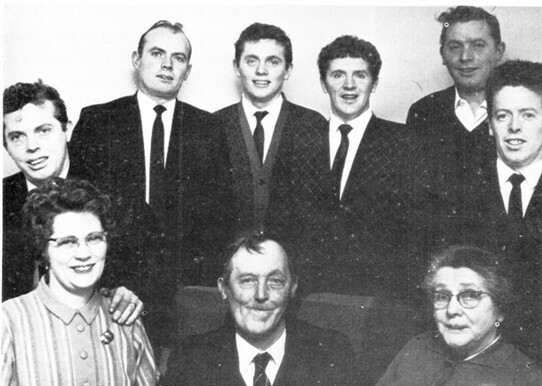 By 1960 the O’Connor Brothers now included, Mattie, Michael and Willie. They went on, regardless of difficulties. Financial problems seemed insoluble, but somehow they were surmounted. Problems of agreement did not arise, debate, discussion, argument – yes, but always that produced clear-cut policy of agreement between the brothers. Somewhere, between hard work and communication, lies the secret of their success. No job was ever shelved because “it isn’t my job”, or “it’s too menial” – everything concerning the Bakery was the concern of each one of the O’Connor Brothers. Each one had then, and still has, an in-built sense of responsibility towards the whole concern – a vital ingredient in any success story – surely. The O’Connor secret of success? Just a matter of luck!. Others have worked equally long and hard, they say, without achievement. Their success to outside viewers must prompt a reflection on the failure of the bloodless Board-Controlled type industry of to-day (1972), and on the success of family-owned undertakings. If Western Pride is to do more than bring activity, employment and consequent content and prosperity to a Community, it must laud family unity, because Western Pride reflects the value and strength of family unity. WP is backed by a family unique in its solidarity, and more unique, in its respect for the individuality of each member. The chief stimulus for its very being, was the compulsion on Tom’s part for finding and establishing an identity. It follows then that identity and individualism form an important factor in the development of WP, and that under its patronage, people are encouraged to be people, never automatons. Neillie, - now Mrs. Keady – was the unifying force behind this family venture. Real progress was apparent soon after her arrival in 1959. She organised, gave backing and a design to the hard work which now shaped towards success. She sorted out the moneys into takings and outgoings – profit and loss. She was on call at all times, and her spirit of involvement and readiness to see to the problems in every facet of the Bakery, work and sales, infected all. All agree that without Neillie, WP as it is to-day could never be. The father, Mr. John O’Connor, was the father-figure all through. It was he who originally begot the idea of having his sons apprenticed to the bakery business. A man not content to divide his holding between seven sons, (Michael seventh son) eminently content with life however, and ever-ready for challenge. Once the seed of the notion was planted in his mind, he took the plunge. Mr. O’Connor was and is, a great man for people. He tells a story with the skill of Frank O’Connor, with the colour and the snas of an Éamon Kelly. Every incident in his life has beginning, design and invariably a profound thought at the end. This page was added by Averil Staunton on 31/07/2011.